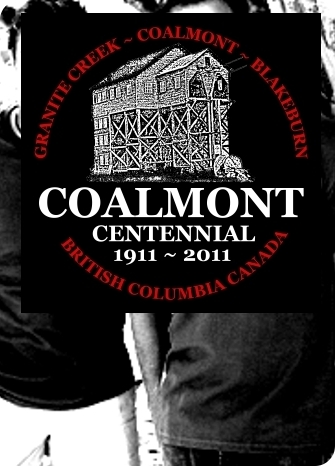 We now have Coalmont Centennial T-shirts! Long lasting, pre-shrunk shirts with 2 colour silkscreened image featuring the famous Tipple of Coalmont lore. Gildan Ultra Cotton, 10.1oz, 100% cotton Seamless double-needle collar, taped neck and shoulders, and double-needle sleeves and bottom hem. This quality T-shirt is $25 CDN. Sizes in black are S, M, L, XL, and 2XL. A few navy or chocolate brown are also available in S, M, or L. Quantities are limited so order now. Secure online payment. Click below to order. Shipping and handling: Western Canada to Ontario $10 (2 or more $15); Atlantic and other $15 (2 or more $20); United States $20 (2 or more $25). Shipping is Xpresspost™. Our apologies for the high shipping cost, especially to the US, but it actually costs more than we charge. All taxes are included. 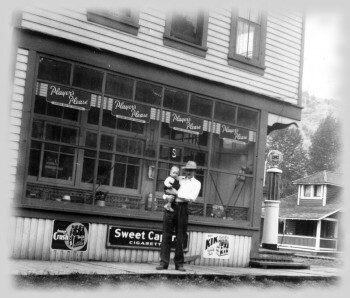 The History of Granite Creek and Coalmont is chronicled in a new book by Diane Sterne called White Gold and Black Diamonds. This publication is the culmination of six years of research, and is published to commemorate the Coalmont Centennial. 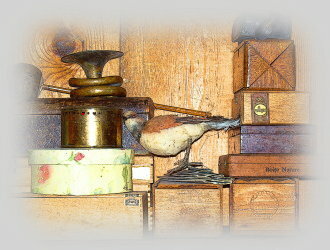 It is available for purchace FOB Coalmont, or on the internet. You will find stories of oldtimers like Butch and his pet pig; Robert Stevenson, the prospector who buried his friend's wife four times; and Hattie McBride, the woman of "negotiable affection" whose unsolved murder has left her restless spirit wandering the area. This book is 178 pages, and contains 155 photographs, many of which were previously unpublished. 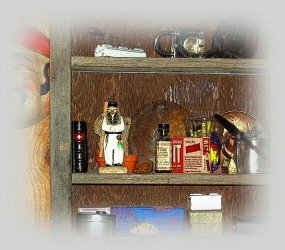 It is the intention to add more merchandise to this page as time goes by. 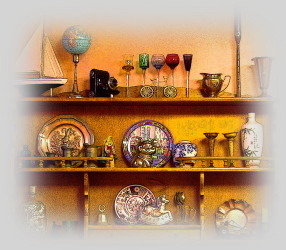 Coalmontians with a product to sell on the internet can apply to have them displayed here. Anyone with an interest in local businesses can find out more about those on the New Coalmont Courier Business Listings. Have you lived in the Coalmont area? Please take a moment to sign the guestbook and reminisce a little. In fact, we'd like to hear from you even if you've never been here!